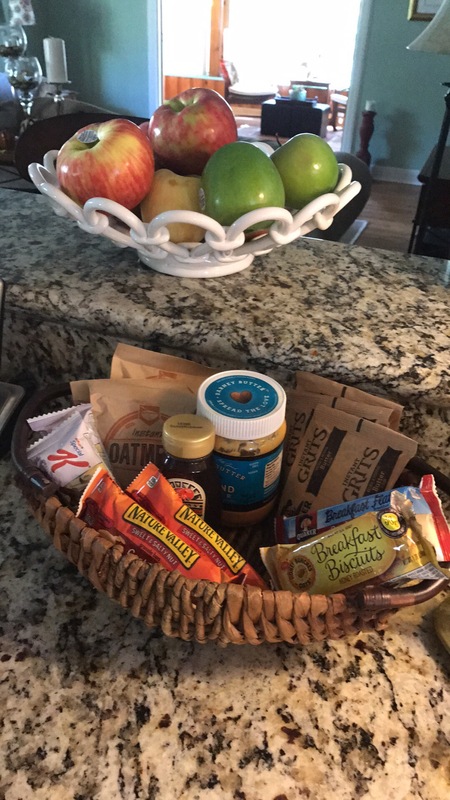 So here’s the newest addition to my bag of tricks… the Breakfast Basket! Filled with several kinds of breakfast bars, hot Oatmeal and Grits mixes, Almond Butter, Honey, and I’m going to add individual packages of Peanut Butter later today. Bonus… it’s sitting right beside my fruit bowl so there’s options. Anyone have any suggestions for anything else?